Saving a car from all possible damages is a basic responsibility of the car owner. At present, a large number of people are showing an enhanced attention towards buying the modern cars that are loaded with modern features. These features have established the cars as the most popular family vehicles. However, riding the vehicle with pride and ease, the car owners need to take care of their vehicle without showing the slightest among of readiness. Apart from paying attention towards the performance of the car, you also need to find a reliable car serving company. 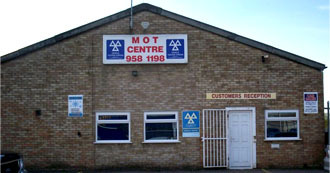 It may be difficult for people living in different parts of the world, but people in Berkshire can get an advantage just because of the presence of Wheel Alignment Reading. The company has been working with a great expertise, and that is why the company is gaining popularity among the car users in Berkshire and places around it. Wheel Alignment Reading has a great experience in the field of technical fields related to Wheel Alignment, Reading of Tyres, and Exhaust Repair, Replacement, and Maintenance. It makes us feel proud that we are in direct contact with a large number of clients since last 20 years. These 20 years have been extremely valuable for us that has brought us some great experience. We find ourselves more matured and more self-reliant. This is our specialty that has brought us a strong identity among our client. We never indulge in bad or dishonest practices. We never pretend and that is a strong reason for building a strong reputation among our customers. We are honest in our deals. We work in a planned way where the role of our technical people is very important. They make an overview of the condition of your car to find out the real problems. However, this overview is done on the basis of your initial briefing. Our experts possess great knowledge about wheel alignment, exhaust repairs and replacement, and many other things. We dedicate us to serve you in the best possible manner. Charging money is not important for us. Our charges are very genuine, and we are confident that you will not get lesser charges anywhere in Berkshire or area around it. We proudly claim that our experts are very careful about providing the best value for your money. We understand that many of our clients are very busy with their jobs and profession. They seldom get enough time to spare time for car servicing. Helping them with faster services is one of our specialties. We never want to keep them waiting for unnecessary reasons. To meet the time deadline, we often involve more than 3-4 skilled people in one job. Our customers find enough reasons for us to be known as the most ‘reliable service provider’ in Berkshire. That makes us feel proud, but we do not work for the sake of names and reputation. We just work to satisfy us before we satisfy you.